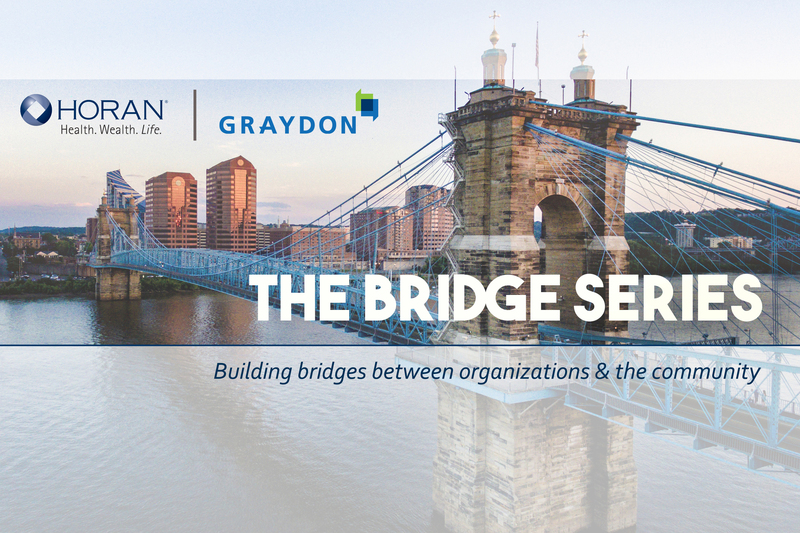 Please join us for Graydon & HORAN’s monthly Bridge Series! On the first Friday of each month HORAN and Graydon invite you to join us as we bridge organizations and our community together. In this series we will invite community leaders to discuss topics such as art, community development, health and wellness, education and more. May’s edition will feature Colleen O’Toole & Kiana Trabue with The Health Collaborative.